Access Platform Sales provide a comprehensive range of material handling products, including the popular Genie material lifts, Hinowa tracked mini-dumpers and forklifts and Wienold glass and material lifts. Genie material lifts are user-friendly contractor tools that improve safety and boost productivity. 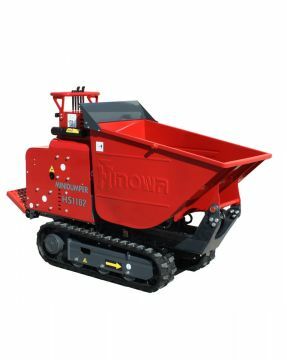 With low ground pressure and compact dimensions, Hinowa tracked dumpers are indispensable for a wide range of tasks including construction, landscaping, estates management, and agriculture. Wienold has a growing reputation for high capacity lifts that are popular glass lifts and ideal for glaziers. We stock a comprehensive range of Genie® low-cost and lightweight material lifts, ready for delivery. In this way, our customers benefit from competitive pricing and short lead times. All of our Genie material lifts come with a UK issued pre-delivery inspection and LOLER certification, so you can deploy them immediately. Designed for one person to easily set up, operate and transport from place to place, these push-around lifts make light work of moving, positioning and lifting a wide range of heavy loads. 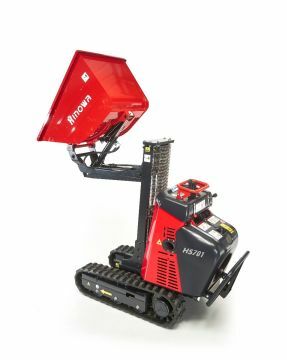 As the exclusive UK distributor for Hinowa, we can also offer you the very best in compact tracked lifts for handling bulk goods and aggregate. These narrow machines are designed to pass easily through a garden gateway and down the sides of buildings. The crawler chassis ensures they have very low ground pressure, making these Hinowa machines suitable for rough terrain and soft ground. Wienold lifts solve problems too tough for other material lifts, with exceptional safe working loads and innovative features.